Editor's note: This story was updated after the execution of Robert Moreno Ramos. 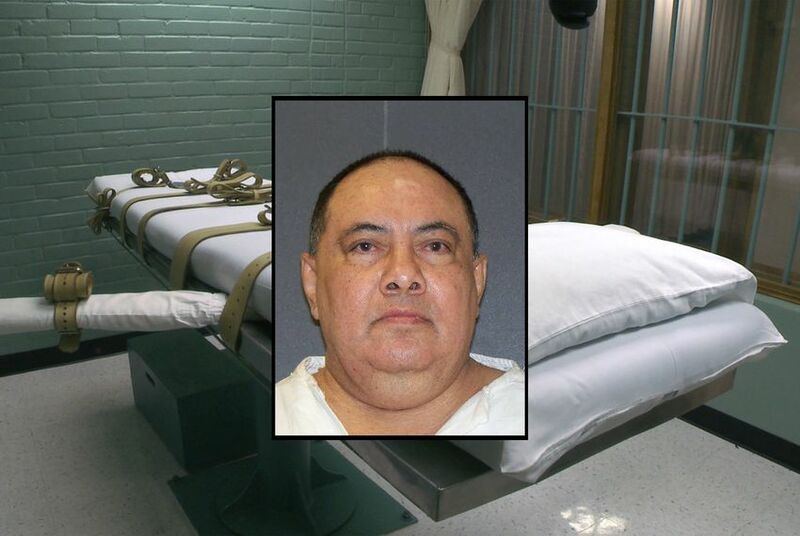 Texas executed Robert Moreno Ramos by lethal injection on Wednesday evening, amid his lawyers’ continued pleas up until the final hour that the case be re-examined for legal violations from 25 years ago. Ramos, 64, was convicted of capital murder in March 1993 for the February 1992 killings of his wife, Leticia, 42, and their two children, Abigail, 7, and Jonathon, 3, in Hidalgo County. Ramos, a Mexican national, beat his wife and children with a miniature sledgehammer, and then buried them under the bathroom floor in the family’s Progreso home, according to trial evidence. Ramos’ case had been a point of contention in both district and federal courts for years, due to requirements of an international treaty. The Vienna Convention on Consular Relations mandates that when an immigrant is arrested and held in detention, he has the right for the consulate to be notified so that the foreign government can provide legal representation. Lawyers in Ramos’ case had argued in appeals since 1996 that Ramos wasn’t aware of his rights, and therefore didn’t receive sufficient legal guidance that they say could have made a difference in his sentencing. On Feb. 7, 1992, a neighbor reported that she had heard screams coming from the Ramos home. For nearly two months after the murders, Ramos dodged questions regarding his wife and children’s location, until his sister-in-law reported Leticia Ramos and the children as missing. In court records, it is noted that Ramos was having an affair and had married the woman three days after the killings. Police questioned Ramos at the end of March about his family’s disappearance. After providing contradictory statements — saying first that his family was in Austin, then San Antonio and Mexico — Ramos was later arrested on traffic violations and brought to the police station. Police obtained permission to search the house on April 6. They found traces of blood throughout the home. After another round of questioning on April 7, Ramos admitted that he buried the victims under the bathroom floor, where police eventually excavated the bodies from underneath newly installed tiling. During Ramos’ sentencing, his 19-year-old son testified against him, detailing harrowing accounts of growing up under his father’s physical and verbal abuse. Another woman testified that Ramos was likely responsible for the disappearance of her daughter, who married Ramos in 1988 in Reynosa and who had not been seen by her family since 1989. The Mexican government eventually filed a case against the United States in 2003 that bundled Ramos with more than 50 other Mexican immigrants sentenced to death in the U.S. who did not receive consulate-sponsored representation under the treaty. The case went to the International Court of Justice in The Hague, Netherlands, which determined in 2004 that the U.S. government had violated the treaty. However, after the decision, President George W. Bush announced that it would be up to the state courts to “review and reconsider” details of the cases. Ramos sought relief under the international court’s ruling, but the Texas Court of Criminal Appeals dismissed his appeal, and the Supreme Court denied a review of the decision. In a statement released Tuesday, the United Nations called for a halt to Ramos' execution based on the treaty violations. Recer filed a last-minute plea for a stay of execution to the U.S. Supreme Court in the hours leading up to the execution scheduled for 6 p.m. Central time. The plea was denied shortly before 9 p.m.
Ramos gave a final statement before being pronounced dead at 9:36 p.m.
"I am very thankful for all the hard work the Mexican consulate put in a fight over my death sentence if there was a reason or not. I am thankful for the humane treatment that I was given here at the two prisons that I was at. I am getting my gold watch that it took the Governor 30 years to forge. Thank you God, Lord send me a chariot. I'm ready." Ramos was the state’s 11th execution in 2018, the nation’s 21st.